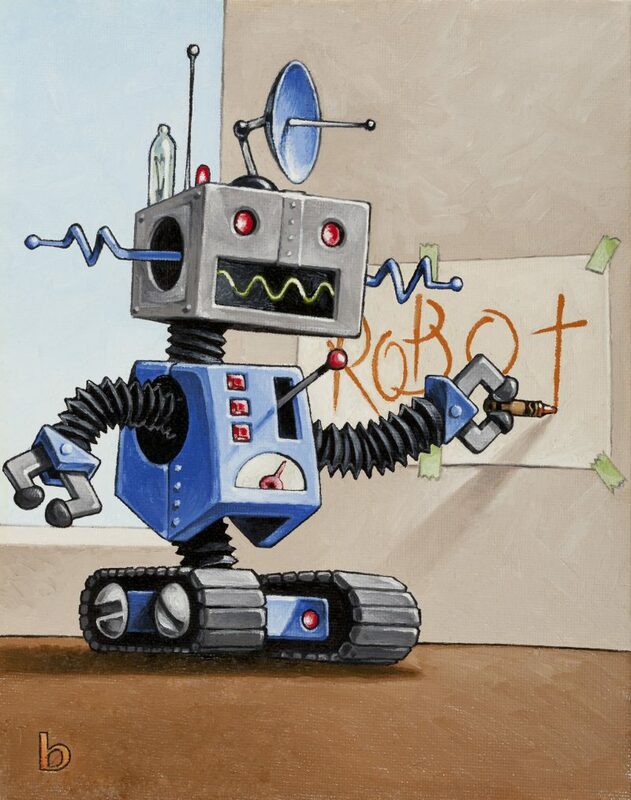 Robot Boy Drawing on the Walls, 12 x 16, oil on panel. 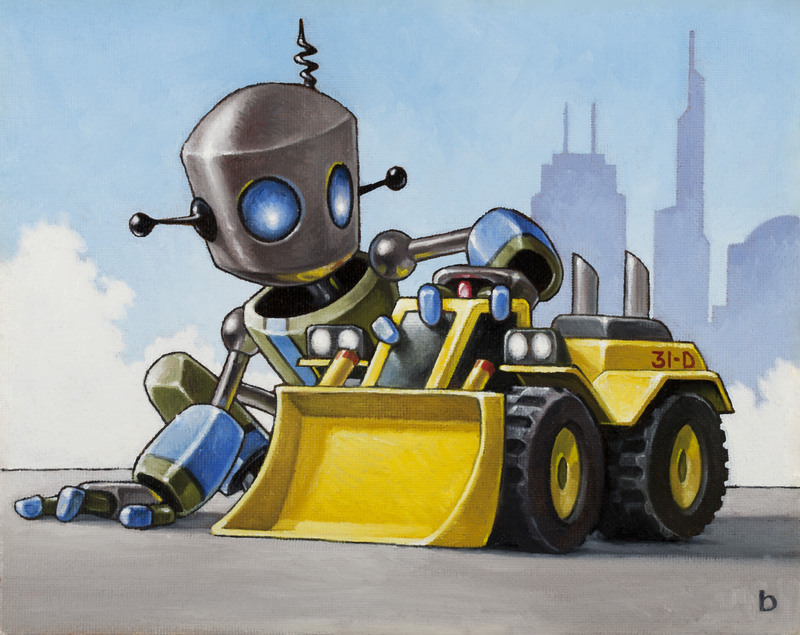 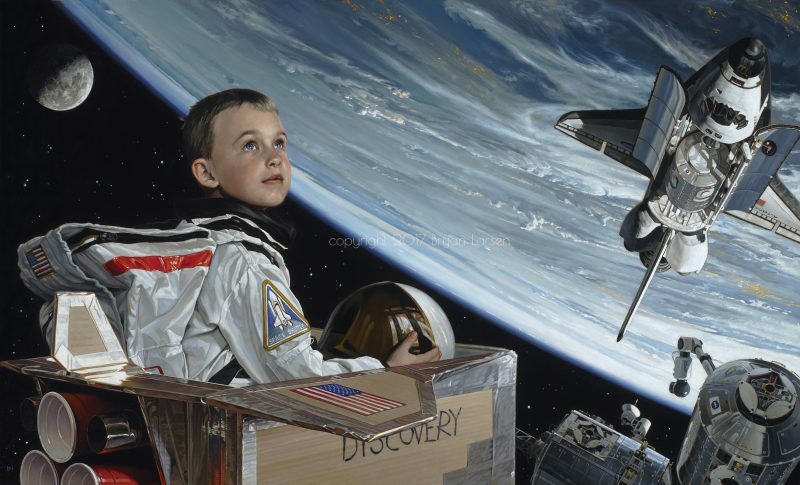 Robot Boy Plays with Digger, 16 x 12, oil on panel. 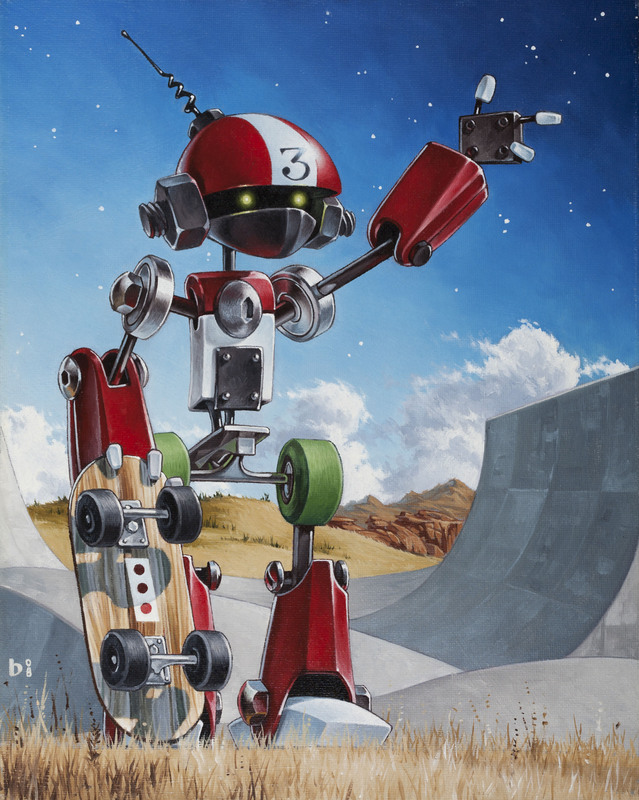 Robot Boy Skateboarding, 12 x 16, oil on panel.